We found 328 results matching your criteria. Designer chairs for office guests. Free shipping guest chairs for sale online at discount prices. Shop leather guest chairs, mesh back guest chairs, and wood guest chairs for lobby, waiting room, and lounge applications. OfficeFurnitureDeals.com offers best selling guest chairs from Mayline, Global Total Office, and OFM. Find the best guest chair for office applications today. 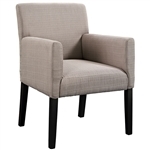 Purchasing multiple side chairs and arm chairs for your guest waiting areas? Contact us direct at 800-456-6746 for bulk discount pricing opportunities! Your Price: $131.00 *Call for Additional Savings! Your Price: $134.00 *Call for Additional Savings! Your Price: $523.75 + FREE Shipping! Your Price: $410.75 + FREE Shipping! Your Price: $134.99 + FREE Shipping! Your Price: $179.99 + FREE Shipping! Your Price: $889.25 + FREE Shipping! Your Price: $128.25 + FREE Shipping! Your Price: $315.99 + FREE Shipping! Your Price: $448.00 + Free Shipping! Your Price: $465.75 + FREE Shipping! Your Price: $547.75 + FREE Shipping! Your Price: $135.00 + FREE Shipping! Your Price: $760.99 + Free Shipping! Your Price: $1,166.99 + Free Shipping! Your Price: $177.00 + Free Shipping! Your Price: $506.00 + FREE Shipping! Your Price: $462.00 + FREE Shipping! Your Price: $617.75 + FREE Shipping!